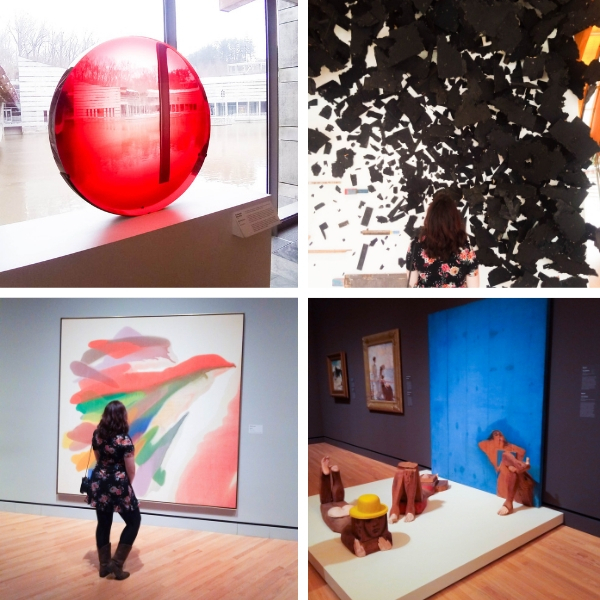 This blog post and my visit to Crystal Bridges has been compensated by Crystal Bridges and Soapbox Influence. As always, my opinions are mine alone. 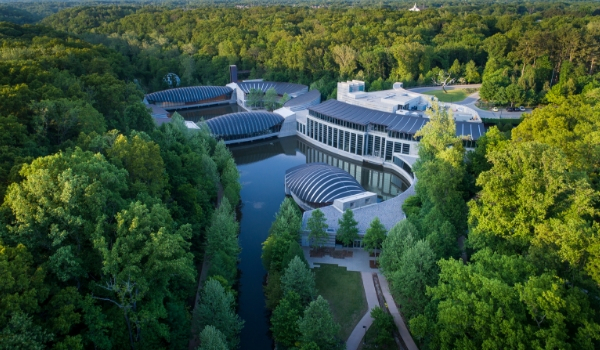 Crystal Bridges is the newest American art museum to open in more than a generation, and they have truly created something modern that learns from all that has come before them. 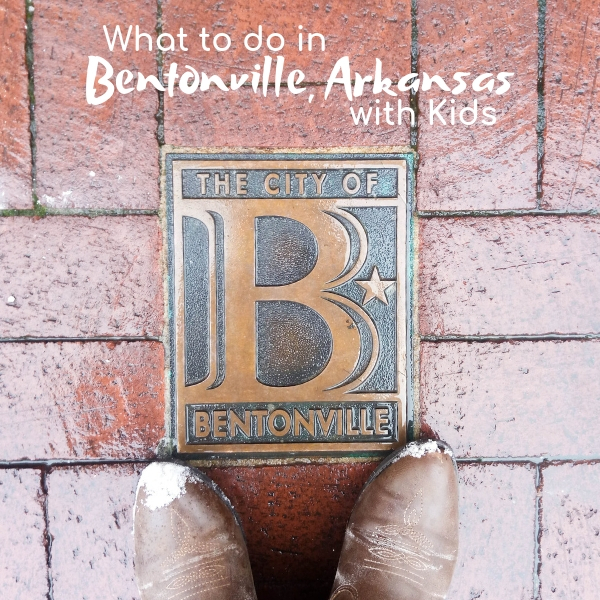 Their mission is “to welcome ALL in a setting that unites art and nature” and they do this in a number of ways, including free admission, generous programs for schools (which include not only paying for the bus but also substitute teachers if the teacher on the field trip needs class coverage). The museum itself is a feat of architecture. On first impression, the building is magnificent, but learning that the parts of the building that stretch over the water are actually built as suspension bridges, the poetic and understated nature of the museum starts to become apparent. 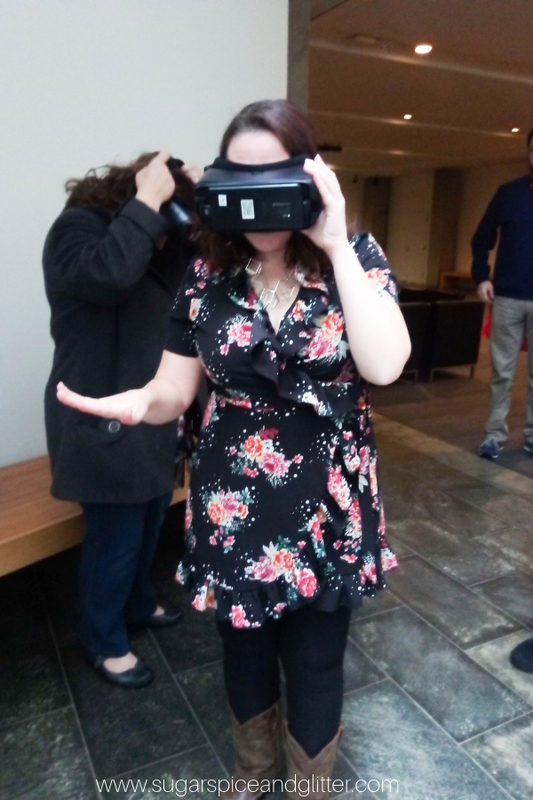 For my visit, myself and 7 other bloggers were hosted by the museum and given a private tour with the museum curator before the museum even opened for the day. 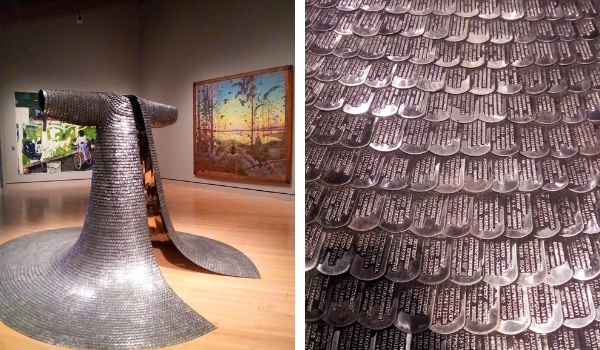 Walking around and learning about the interplay of art, history, architecture, nature and social justice within the collected works and building of Crystal Bridges was an enriching experience, and it brought deeper meaning to so many works that I probably would’ve walked by or not given a second thought. I was particularly touched by the gentle and factual nature in which the curator spoke about racial identity and racial issues while discussing relevant works. They made their commitment to diversity and inclusiveness apparent at every turn. From the works they selected to how they spoke about and presented those works. 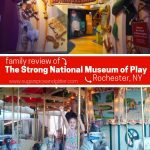 There was also no pretense about the museum – the staff were so inclusive and didn’t treat any of us differently based on our previous knowledge, and the informational write-ups that accompanied each art work did a good job of giving enough background information and social-historical analysis that you were able to gain that greater understanding, while being succinct enough that you won’t feel like you’re spending the whole visit reading. 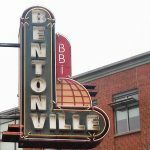 While a private tour with the museum curator may not be something that everyone has the opportunity to do, the museum does have guided audio tours that would give many of the same insights. 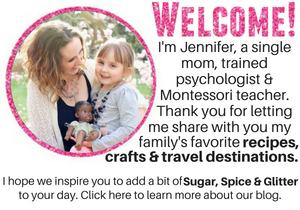 I know I often overlook those while travelling with the kids, but after this experience, I will be more likely to try to enhance my museum visits with those guides. 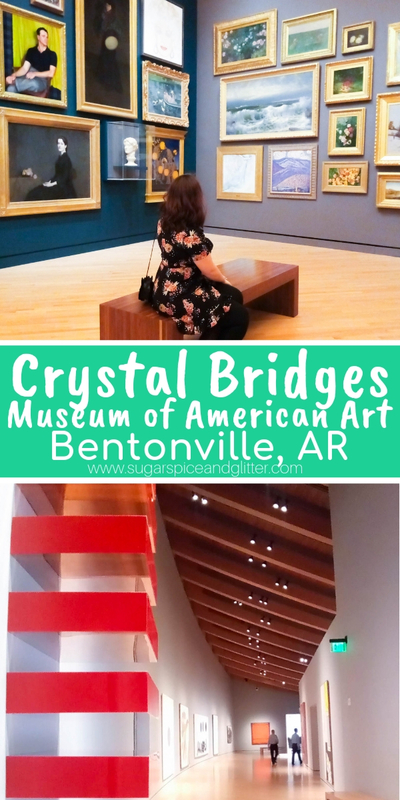 Crystal Bridges also offers over 500 programs and events throughout the year to enhance the museum experience, so there are many wonderful opportunities open to the public that you could take advantage of! They also have an impressive commitment to incorporating technology into the museum experience, beyond audio books. 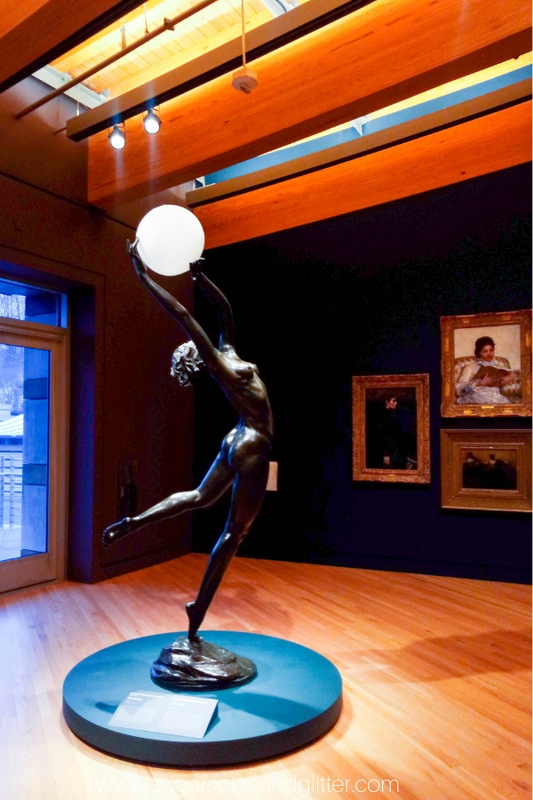 There are iPads throughout the museum that give you the opportunity to interact with the artworks and have developed some cool Virtual Reality experiences that allow you to actually STEP INTO the artwork! The weekend that we were there, the museum actually launched an original piece of art “into space” using a weather balloon. 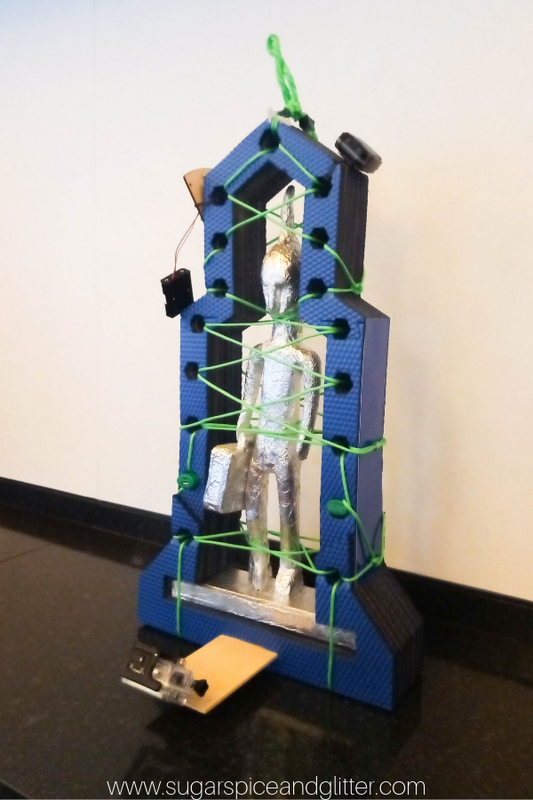 This piece was created especially for the event and a camera was attached to the “shuttle” which I’m sure will be used as a separate piece of art when everything is collected. 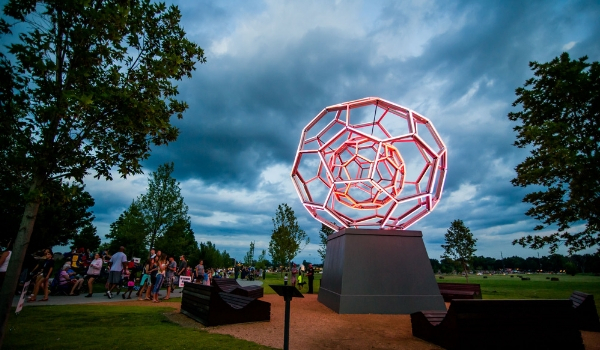 This convergence of art, science and technology is the epitome of what Crystal Bridges is trying to create within the art world. 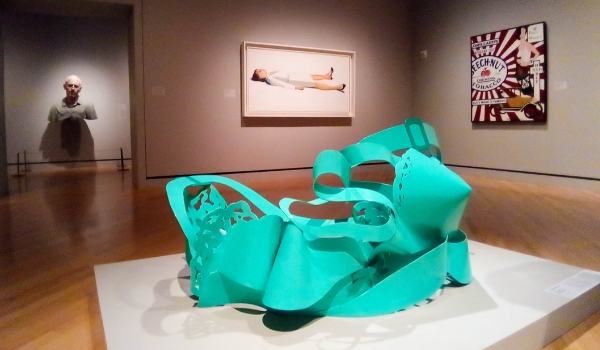 So many exciting pieces for art lovers – whether you are walking into the museum with previous knowledge of these works, or if you become educated about them as you are there. 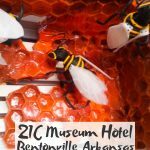 The museum also offers 4 miles of walking and biking trails cover the 120-acre grounds with a beautiful Ozark landscape, several thought-provoking sculptures, gardens, and interactive education areas. They have also relocated a Frank Lloyd Wright-designed home from New Jersey to their quiet grounds for guests to explore. 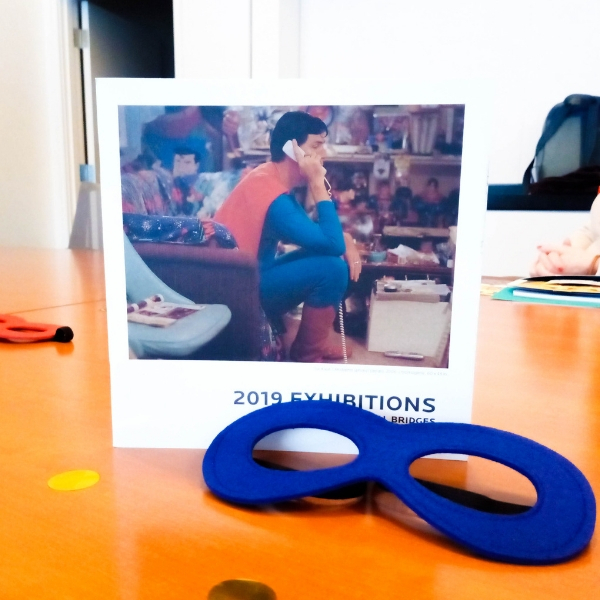 While at the museum, I was lucky enough to get a sneak peek at the upcoming Men of Steel, Women of Wonder exhibit (#MOSWOW), which is set to open February 9 to April 22, 2019 and then will go on to visit San Antonio Museum of Art (June 22 to September 2) and then the Addison Gallery of American Art in Massachusetts (October 5 to January 5, 2020). 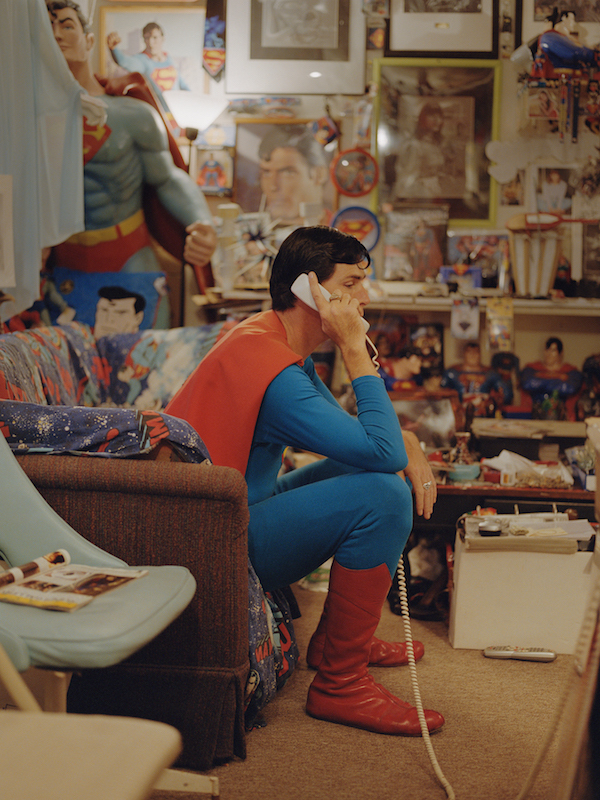 Superman and Wonder Woman are two of the most beloved icons in American pop culture. Created in times of economic adversity and world war, these characters quickly emerged as beacons of American morality, representing the ideals of truth, justice, and the American way. 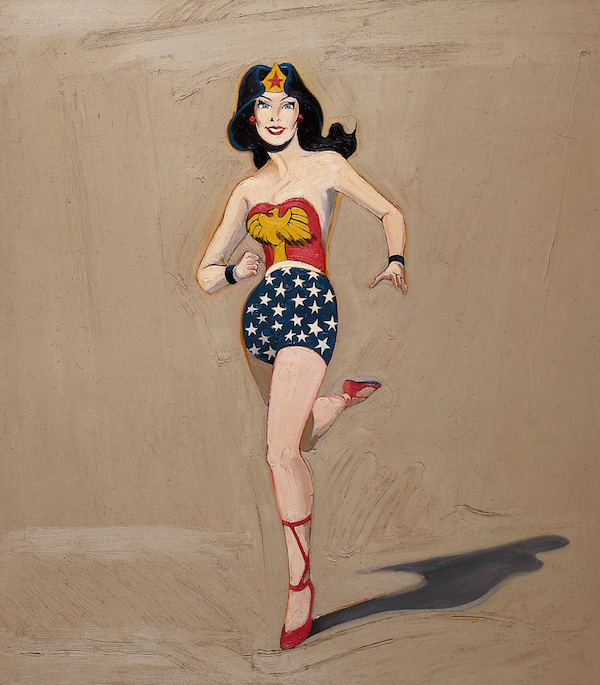 Men of Steel, Women of Wonder is a new exhibition developed by Crystal Bridges’ Assistant Curator, Alejo Benedetti, that examines art world responses to Superman and Wonder Woman ranging from their Depression-era origins to today’s contemporary artist interpretations. 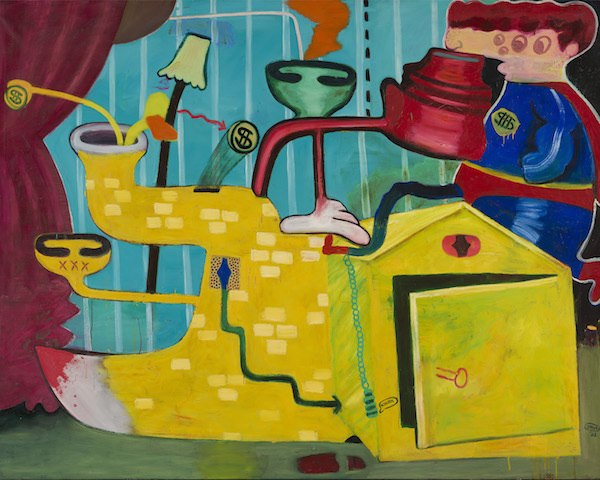 The #MOSWOW exhibition is set to celebrate more than 50 artists from different regions, perspectives, and identities; and showcases a diverse range of artwork (70 objects that include drawings, prints, sculptures, video, mixed media works, and installations). 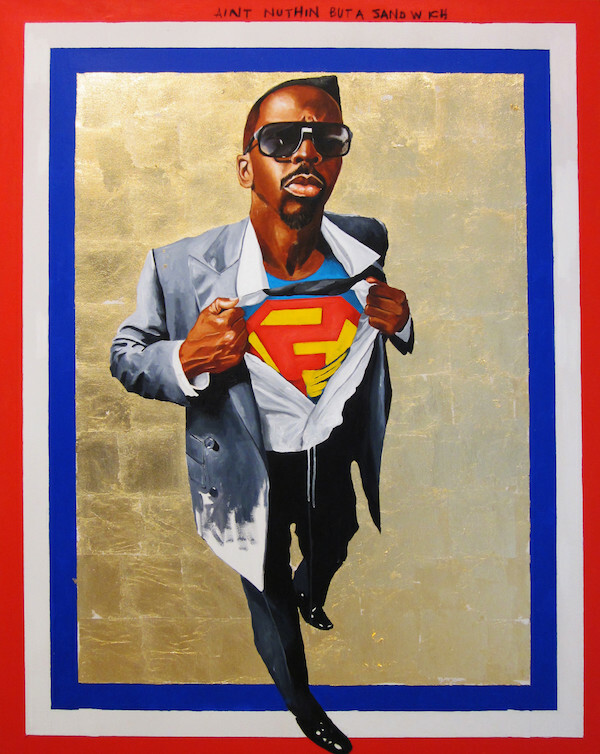 The artwork explores complex issues, such as how artists use Superman and Wonder Woman to discuss social justice, national identity, American values, and the concept of humanity. The works range from loving endorsements of heroic ideals to brutal critiques of issues affecting American society. The intention of the exhibit is to introduce visitors to important contemporary artists and leverage their voices to tell their own stories. 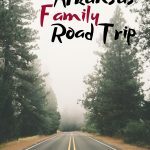 This exhibit is $12 for adults, free for members & youth ages 18 and younger. On the first floor near the Great Hall there is a private room that can be used by nursing mothers who prefer a private setting. 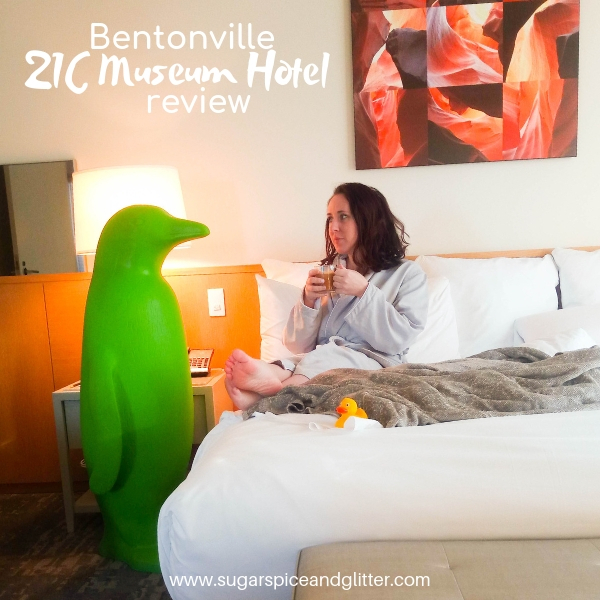 For more resources on planning your Bentonville, Arkansas vacation, check out our 21C Museum Hotel Review and Guide to Bentonville with Kids. The salon was my favorite. 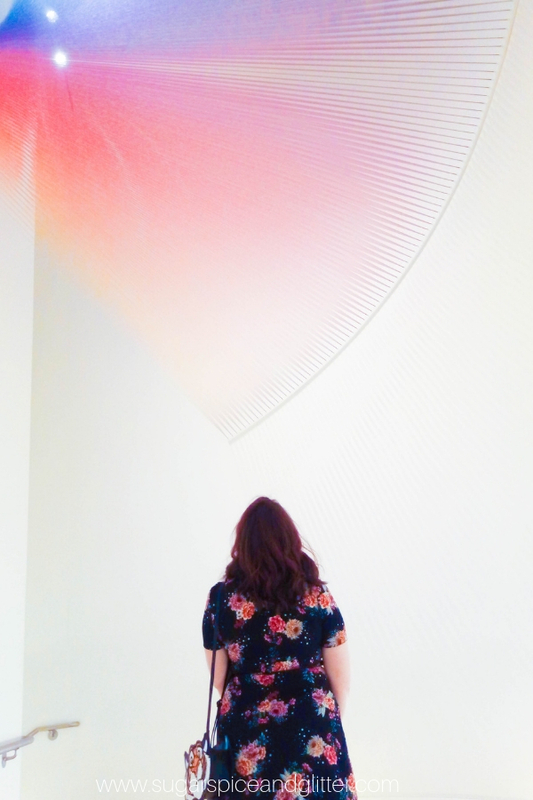 I could have sat there all day looking at the art. The whole museum property was amazing! Wow, what a fun museum! Ηello there! 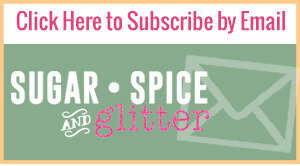 This ppst coսld not be written any better! I will forwarɗ this post to hіm. Fairly certain he will have a good read.